Five on Friday – Summer Pool Drinking the Right Way! And, today I am going to share with you how to do Summer Pool Drinking the Right Way on Five on Friday with Darci, April, Christina and Natasha. Because, if you have a pool at home, planning to hang out at a relatives pool or a community pool… or if you are just hitting up the pool dangit, then you need a drink in hand, righty? Right! Anytime you are spending time at the pool, you need a nice cool drink. It is hot out there! 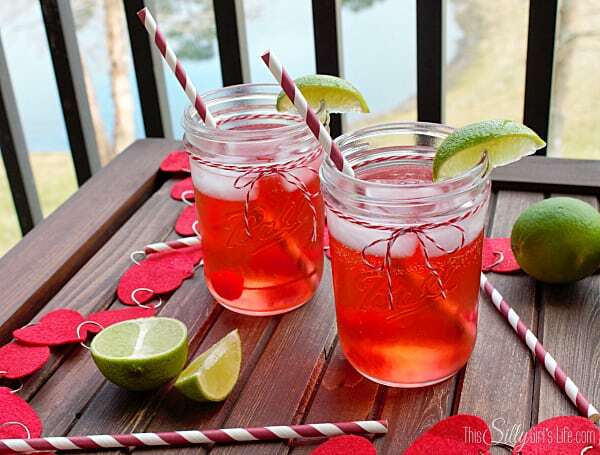 I am digging cherry limeade right now, but why not make it alcoholic with a splash of cherry vodka?! Find this recipe HERE. Or what about a cocktail named after the swimming pool itself, because of its blue color? For the recipe for this delicious swimming pool cocktail, click HERE. Looking for something for the kids? 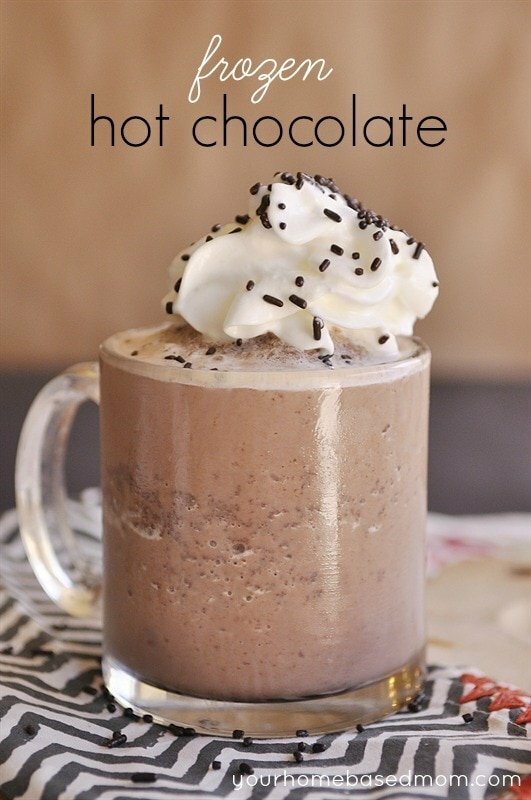 Why not try a ‘frozen’ hot chocolate drink (see recipe HERE)? You could top it with whipped cream with sprinkles or marshmallows… yum! 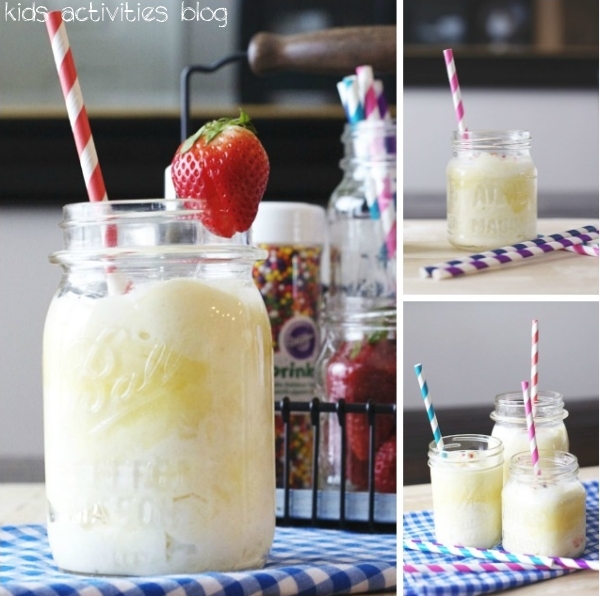 Or the famous copy cat version of Disney’s Dole-Whip (see recipe HERE) drink? Looking for something to store that drink in that is safe and won’t break? How about a squishy booze cup? 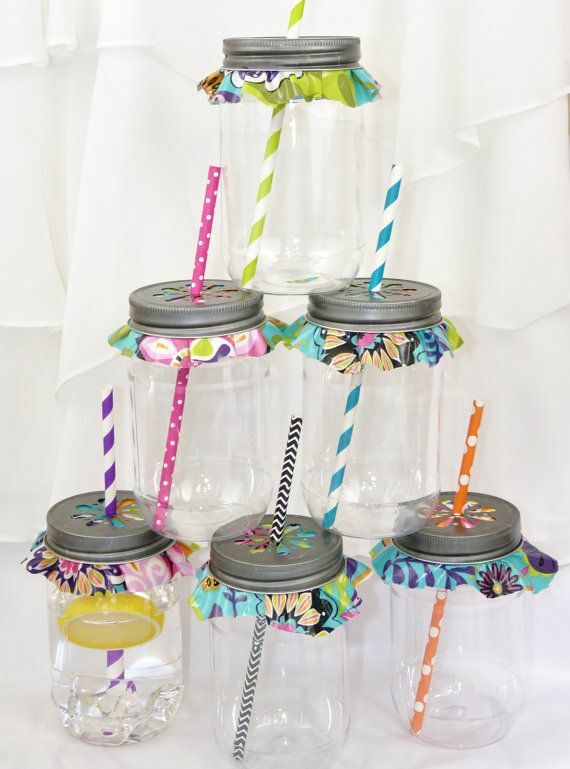 Mason jars seem to be all the trend right now… what do you think about these plastic mason jars with the ruffled liners? So cute! Or, do you need a way to set up a cooler right IN the pool? Check out this $1.99 Noodley Beverage Boat! What about a nice little pool snack, because you know swimming makes you hungry! How about coconut rum soaked pineapple to snack at by the pool? Watermelon on a stick with a cupcake liner added to the bottom to catch the juices. 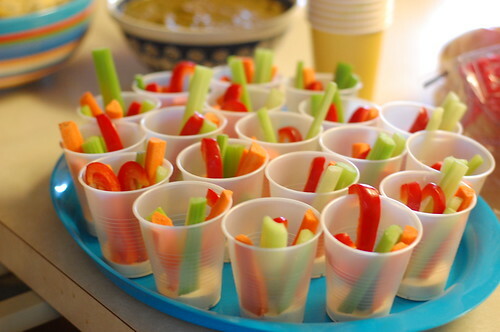 This is a great idea for a snack for kids or even adults! 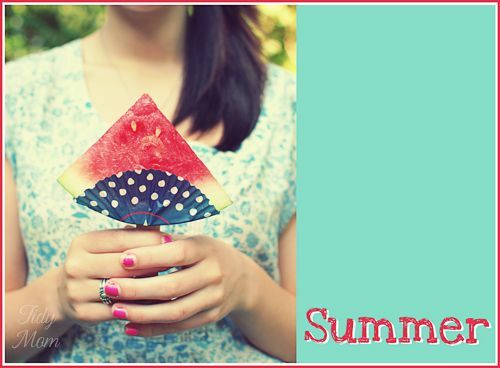 Find the easy directions on how to get your watermelon slice on a stick HERE. I love this mom’s idea of packing a storage container with all kinds of foods that are great for when you are on the go! Lastly, don’t forget to label your drink! 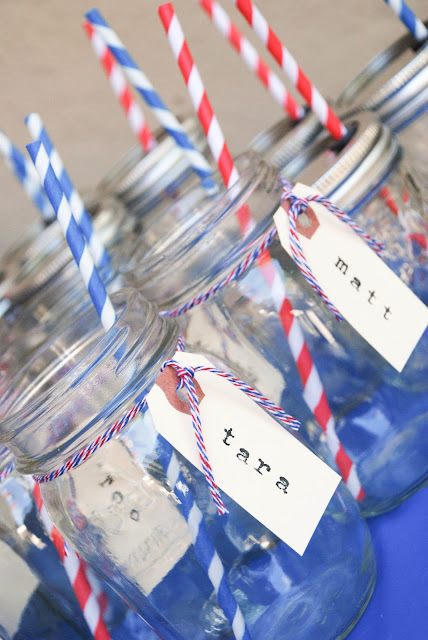 Or, how about stamping everyones name on a card and tying it on their drink? 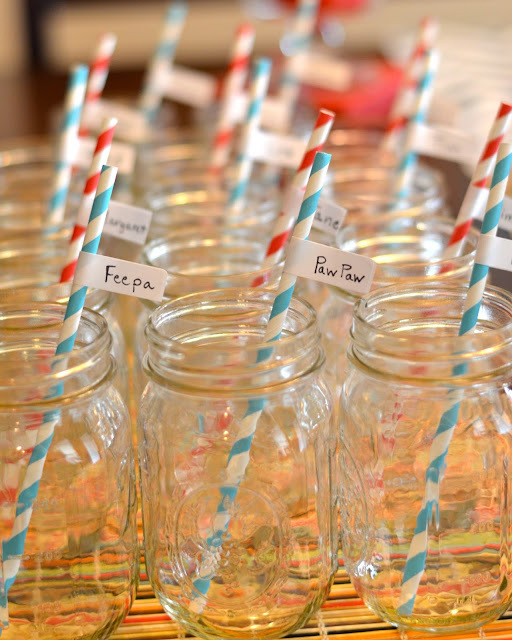 Or you can put a quick little label on the straws with some white tape, as she did HERE. Well, now I want to go mix up a drink and head out to the pool! Have a wonderful summer and I hope these tips help!